Is Ashford Hospitality Trust, Inc. (AHT) A Good Stock To Buy? Is Ashford Hospitality Trust, Inc. (NYSE:AHT) a buy right now? The best stock pickers are categorically taking a bearish view. The number of bullish hedge fund positions that are disclosed in regulatory 13F filings slashed by1 in recent months. AHT was in 13 hedge funds’ portfolios at the end of September. There were 14 hedge funds in our database with AHT holdings at the end of the previous quarter. At the end of this article we will also compare AHT to other stocks including Great Southern Bancorp, Inc. (NASDAQ:GSBC), Sucampo Pharmaceuticals, Inc. (NASDAQ:SCMP), and Novavax, Inc. (NASDAQ:NVAX) to get a better sense of its popularity. 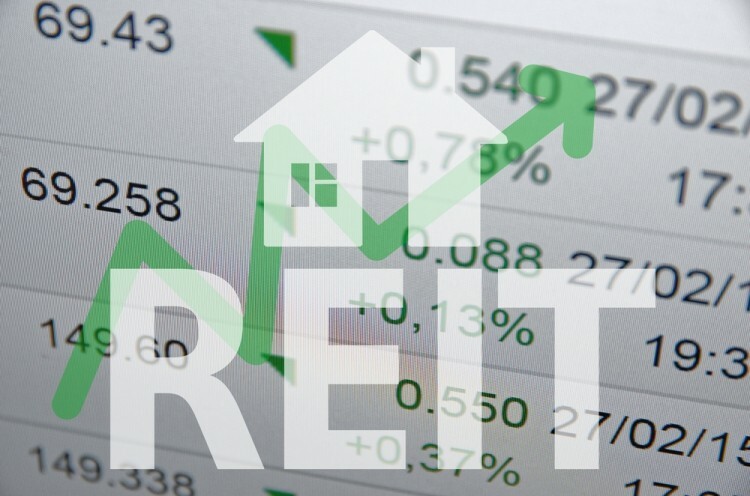 What have hedge funds been doing with Ashford Hospitality Trust, Inc. (NYSE:AHT)? Heading into the fourth quarter of 2016, a total of 13 of the hedge funds tracked by Insider Monkey held long positions in this stock, down by 7% from the second quarter of 2016. 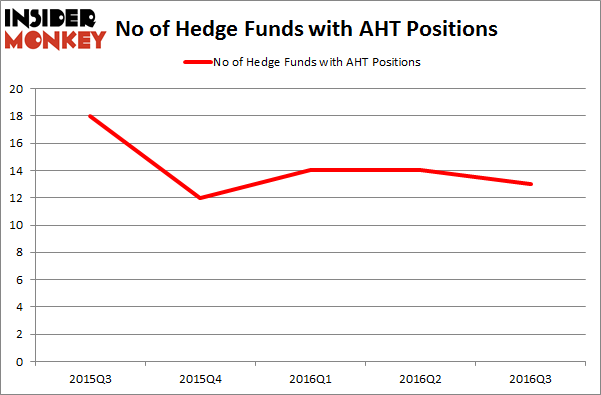 The graph below displays the number of hedge funds with bullish position in AHT over the last 5 quarters. With hedgies’ sentiment swirling, there exists a few notable hedge fund managers who were upping their holdings significantly (or already accumulated large positions). Of the funds tracked by Insider Monkey, Renaissance Technologies, one of the largest hedge funds in the world, holds the largest position in Ashford Hospitality Trust, Inc. (NYSE:AHT). Renaissance Technologies has a $8.6 million position in the stock. On Renaissance Technologies’ heels is Peter Schliemann of Rutabaga Capital Management, with a $8.3 million position; the fund has 1.7% of its 13F portfolio invested in the stock. Some other professional money managers that are bullish include Michael Thompson’s BHR Capital, Israel Englander’s Millennium Management and David Costen Haley’s HBK Investments. We should note that none of these hedge funds are among our list of the 100 best performing hedge funds which is based on the performance of their 13F long positions in non-microcap stocks. How BOK Financial Corporation (BOKF) Stacks Up Against Its Peers Is CAE, Inc. (USA) (CAE) A Good Stock To Buy Right Now? How Bridgepoint Education Inc (BPI) Stacks Up Against Its Peers Do Hedge Funds Love Sterling Bancorp (STL)? Is B2Gold Corp (BTG) A Good Stock To Buy? Is Super Micro Computer, Inc. (SMCI) a Good Stock to Buy?